Remarkably similar to my story, except my first was a ZX81 at 9 and BBCs came a year or so later. 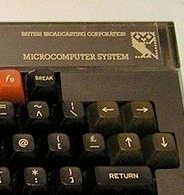 We had no money (my parents split too) so we saved coppers for about a year to buy my first home computer, a Spectrum 48k which I kept for ages. I got a subscription to a BASIC magazine called ‘Input’ for a birthday or xmas and slogged through all of the pages of listings, regularly having to fix bugs & misprints. I never learned anything useful at school about computers or coding, lessons were terrible or non-existent. I remember the first dedicated lesson I found was at A-level, and I was devastated when it became clear the whole course wouldn’t cover anything I hadn’t taught myself by the time I was 13. This was largely responsible for me becoming so disillusioned with school and leaving earlier than I should have done. Even degrees looked boring and I figured I could learn more on my own - which was true, but it just meant I had to work twice as hard to get the degree later on as a rubber stamp and to fill a few small theory gaps. Popular Computing Weekly ! We were still subscribing to that in my family until half way through 2009 when it must have folded due to lack of advertisers in the credit crunch. Guy Kewney, technical tips, adverts from tottenham court road computer dealers … right to the end it still had code snippets printed in it. I still prefer reading something paper-based over my breakfast.